Implantology – Dental Clinic "FREEDENTS"
Dental implants (dental implants) is the implantation of an artificial root (dental implant) bone in place of the lost tooth with the subsequent installation of a Crown on it, that will bring back the health and aesthetics of your teeth. In our Dental Centre uses the Swiss system implants "Strumann", which is the world leader in oral implantology. -lifetime warranty from the manufacturer. 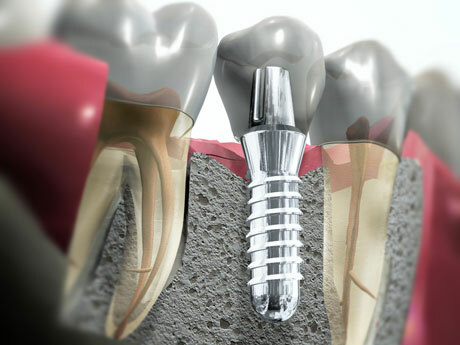 Dental implant itself is a construct in the form of a screw, which is implanted in the jaw (this 1 St stage surgical implantation). It is made of titanium, which ensures high durability and has a high compatibility with the human body. A few months after implantation of artificial root starts 2-nd stage surgical implant-implant abutment is screwed to the gingiva abutment ("adapter" between the implant and the Crown). And the final step is the implantation of the prosthesis-i.e. laying abutment Crown. Dental implant perfectly copes with all the features of their native teeth. Operation of implantation of teeth in dental Center "FREEDENTS" is using the most modern technology-diode laser and membranes of the aPRF autoplasma patient's own blood, that will allow you to not feel pain during implantation, and promotes rapid healing after surgery. 8. Alcoholism and drug addiction. -Installation of implants does not require handling healthy teeth, as in the case of installation of the pontics. -In the absence of a large number of dental units, dental implants replaces the need for fabrication of removable dentures. -Dental implants can serve as supports for fixing when installing removable prosthesis that much more comfortable to use. 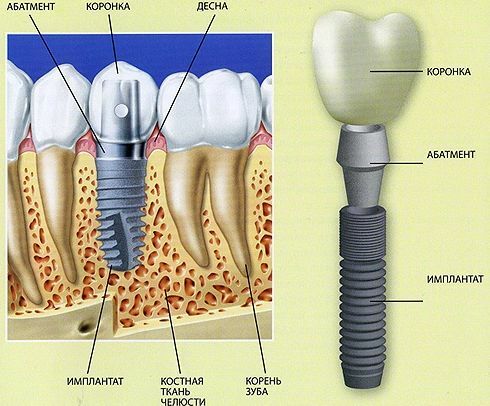 -Dental implants prevents bone atrophy due to uniformly distributed loads. With proper care and regular preventive examination of the oral cavity, dental implants will serve you for a lifetime without causing even the slightest discomfort and delighting you with its foreign naturalness.